Sudbury. Handyman Services can help keep your flooring in great condition through major and minor repair work, or by installing the floor of your choice. Sudbury Handyman Services floor services are your total solution for installation and repair of most types of flooring, including hardwood, laminate, ceramic tile and more. In just one call, our professional handyman helps prioritize all your floor installation and repair needs, as well as other major and minor home repairs on your "To Do List." Whether we're laying ceramic floor tile in your kitchen, installing hardwood floors in your living room or making tile repairs in your bathroom, Sudbury Handyman Services helps solve all your home improvement headaches after just one call. 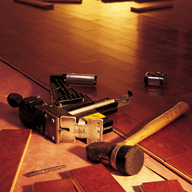 A professional handyman will arrive with all the tools necessary to make all floor repairs and installations. And once we arrive, you can expect efficient, high quality work that's completed on time and safely. Our professional handyman team multi-tasks every floor installation and repair we're called to complete. That means we don't waste your precious time. Our handyman services will install vinyl flooring in your kitchen and then repair a tile that's chipped in your bathroom. Every floor installation and repair is prioritized with you to ensure that these and all of your home repairs and improvements are completed on time. Quality craftsmanship you can count on in a time frame that's convenient for you—that's what Sudbury Handyman Services means by "On time. Done right." For us this is more than a slogan; it's a guarantee that whether we're installing ceramic tile or laying hardwood floor or making another major home repair that all our work is guaranteed. And that's why our customers have given us a 99 percent satisfaction rating. 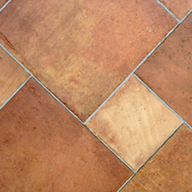 Installing ceramic tile is an important improvement that adds value and beauty to your home. One call to Sudbury Handyman Services provides you with experienced help in installing ceramic floor tile properly and a low-maintenance solution that guarantees quality work ensuring the protection of your home's value. Homeowners looking for an easy-to-clean solution for high traffic areas, such as kitchens, main entryways and bathrooms, find that laying ceramic floor tile is their best bet. Sudbury Handyman Services works with you to arrange floor tiles in patterns that will complement your home's décor, while also ensuring proper ceramic tile installation that extends the life of your new flooring. At Sudbury Handyman Services, we worry about laying ceramic floor tile so you don't have to. Installing ceramic tile is among a long list of professional handyman services we perform that shorten your ever-growing "To Do" list. By having Sudbury Handyman Services experts handle your ceramic tile installation along with deck repairs,patching drywall and a list of other odd jobs, you're saving time that's better spent with loved ones or favorite activities. Discover just how much time Sudbury Handyman Services saves you. Call Sudbury Handyman Services is the right choice to have installing your ceramic floor tile, drywall repairs, painting and seasonal maintenance items professionally checked off your large home repairs "To Do" list.